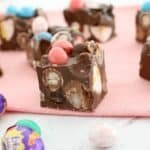 A quick and easy Thermomix Easter Egg Rocky Road made with all your favourite Easter chocolates!! 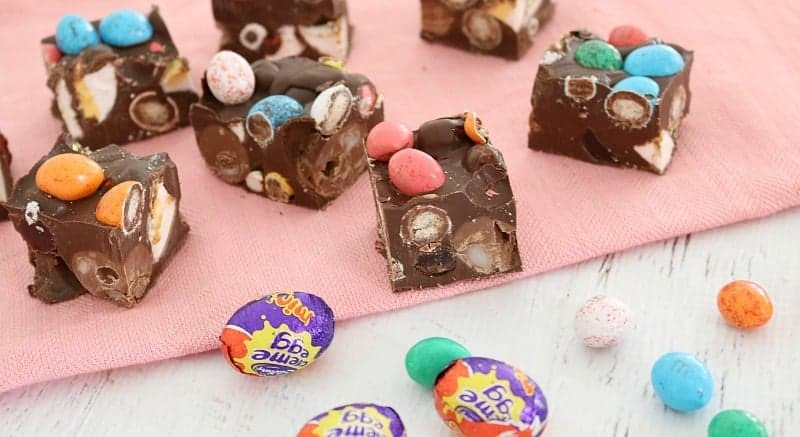 Do you what my favourite thing about Easter is (apart from the obvious couple of getting to spend time with family and eat ALL the food)…? It’s that you have absolutely every possible excuse in the world to eat chocolate. And heaps of it. 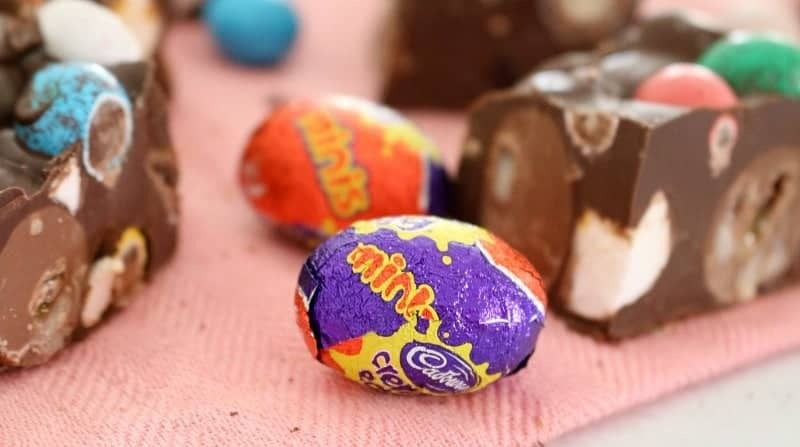 Easter egg chocolate tastes SOOOO much better than normal chocolate… why is that!? 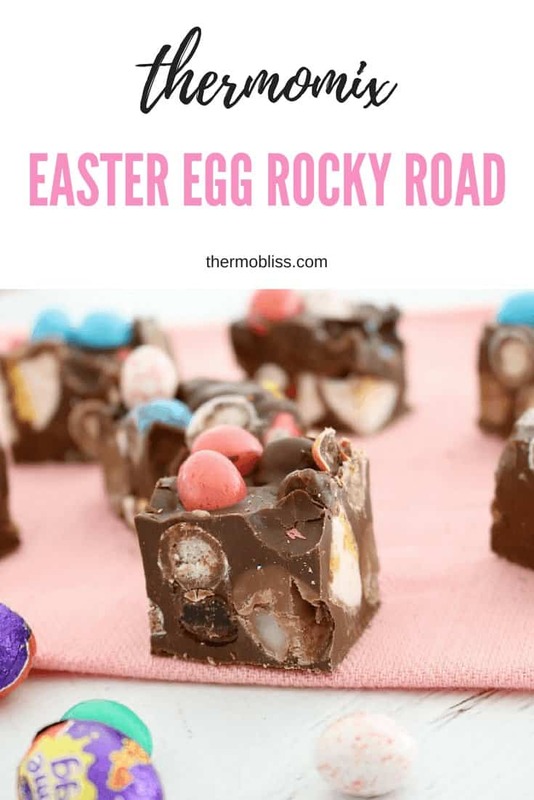 There’s just a few reasons why you need our Thermomix Easter Egg Rocky Road in your life. 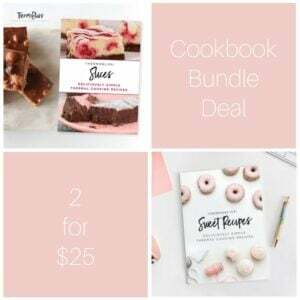 I could give you more reasons, but that would be taking away your precious time that could be spent making this chocoholics delight. So please… go, go and make this baby! 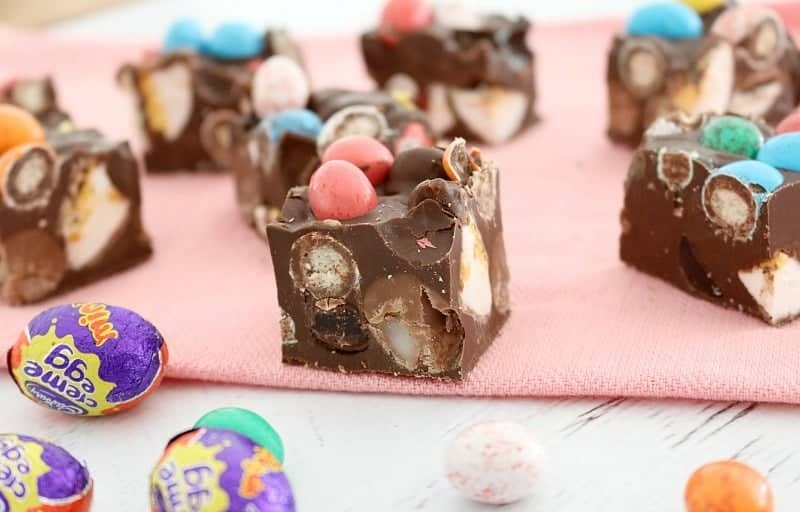 Add any of your favourite Easter eggs and gobble it all up. 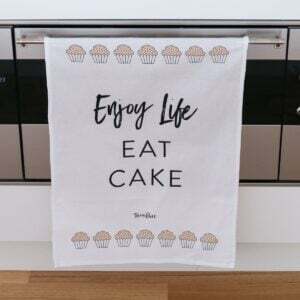 Feel free to share a little of it with your family (but only a little..!). 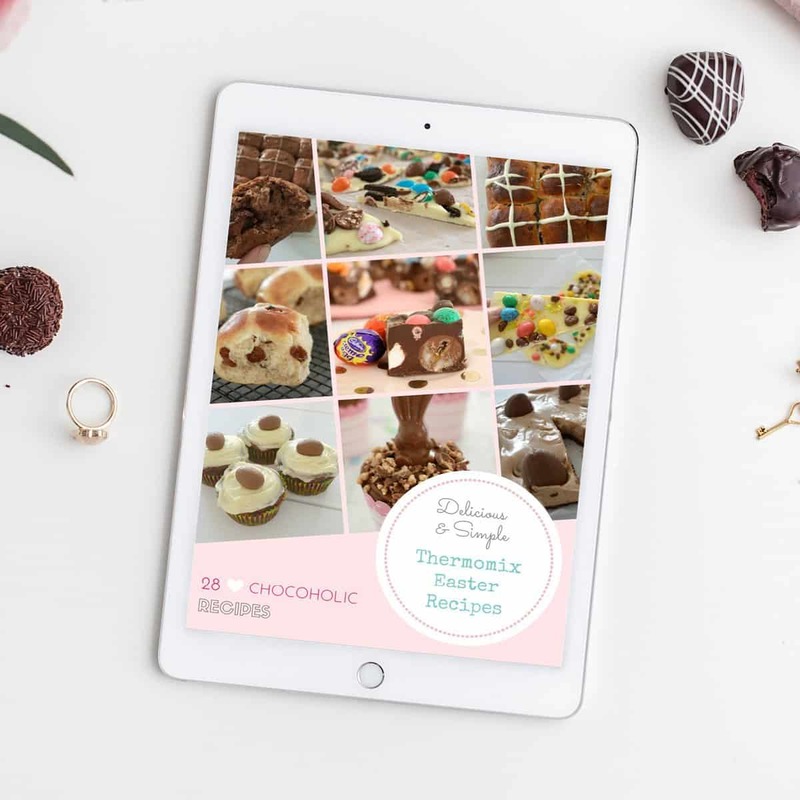 For more great Easter recipes, check out our Easter Recipe eBook that’s designed purely for the true chocoholic! 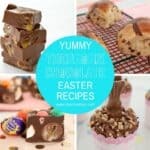 Packed full of 28 delicious Easter recipes that you can make in your Thermomix… for just $10.00! Line the base and sides of a 16.5 X 26cm slice pan with baking paper, letting the sides overhang. Grate the chocolate on Speed 9 for 10 seconds. Scrape down the sides. 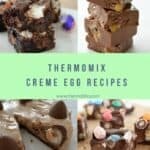 Melt for 3-4 minutes, 50 degrees, Speed 3. Add the marshmallow eggs, mini Cadbury creme eggs, solid eggs and lolly raspberries and mix on Reverse, Speed 3 for 10 seconds or until completely combined. 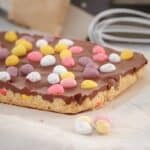 Working quickly, spread the mixture into the prepared lamington pan and sprinkle with the extra eggs (optional). Place into the fridge for 2 hours or until completely set. Use a sharp knife to cut into slices. 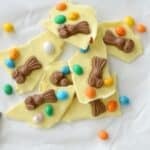 You can substitute the milk chocolate for dark or white chocolate.